In this study, I examined the internal consistency and structural validity of scores on the Short Grit scale, Academic Self-Concept scale, and Engagement scale in a sample of 1154 urban adolescent high school students. I also assessed how much of GPA’s variance is explained by grit, academic self-concept, and educational engagement. Results suggested that the scores on all three scales were structurally sound and internally consistent. However, grit and engagement explained considerably less of GPA’s variance in this urban sample than academic self-concept. Therefore, this study’s findings indicate that school improvement and intervention programs might be more effective if they are focused on increasing more established psychosocial factors like academic self-concept rather than grit. Cohen R. M. (2015). Teaching character: Grit, privilege, and America’s obsession with novelty. American Prospect. Retrieved from http://prospect.org/article/can-grit-save-american-education. Duckworth, A. (2013, April). Grit: The power of passion and perseverance [Video file]. Retrieved from https://www.ted.com/talks/angela_lee_duckworth_grit_the_power_of_passion_and_perseverance#t-352832. Herold, B. (2015, January 24). Is ‘grit’ racist? Education Week. Retrieved from http://blogs.edweek.org/edweek/DigitalEducation/2015/01/is_grit_racist.html. Kenny, D. A. (2014, October 6). Measuring model fit. Retrieved from http://davidakenny.net/cm/fit.htm. National Science Foundation. (2019). Award search. Retrieved from https://www.nsf.gov/awardsearch/simpleSearchResult?queryText=grit&ActiveAwards=true. Palmer, R. T., & Strayhorn, T. L. (2008). 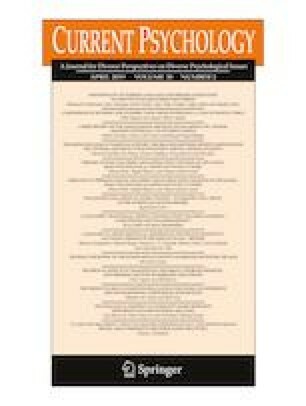 Mastering one’s own fate: Non-cognitive factors associated with the success of African American males at an HBCU. NASAP, 11, 126–143. Retrieved from http://works.bepress.com/robert_palmer/6. University of Chicago. (2016, February 16). $100 million initiative enhances commitment to lower-income students. Retrieved from http://www.uchicago.edu/features/100_million_initiative_enhances_commitment_to_lower_income_students/.